so after several attempts to remove the engine from top out of this car it is proving stupidly difficult so coming out from bottom it is, anyone got any ideas how safe using an engine crane to lift the car from the front is? 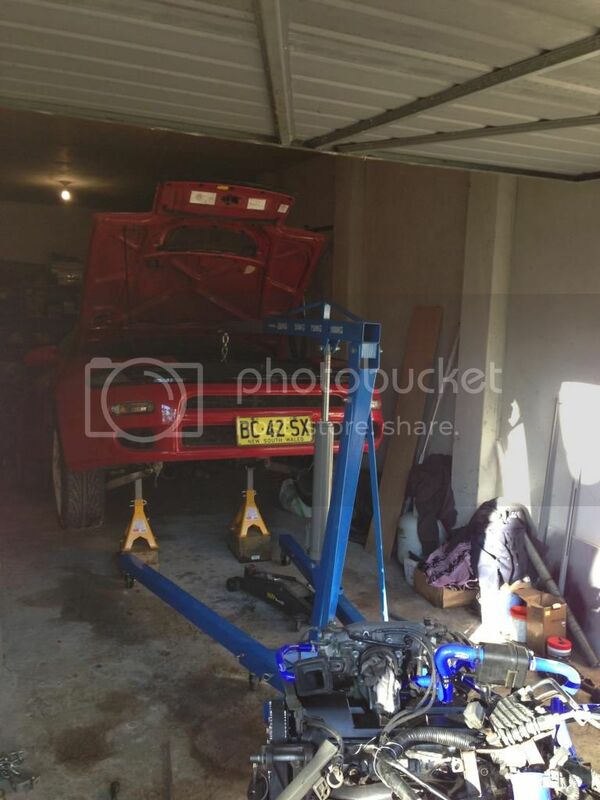 My mate is a tad paranoid about doing so or would using some heavy duty jack stands to do so be better/safer? Its safe if you attach the crane's chain and hook to the right place. Search google for pics, not sure if u will find them. Best place is the mounting point for the front reo bar, it can hold a fair amount of weight. Some people use the reo bar itself to hold the weight but i prefer something a but stronger. It's the normal ST185 reo bar...so a tad stronger than the Group A one if you could describe to me where the mounting points are so i have a rough idea...? Those are epicly solid, but if u cant find anything to grab onto that spot (ie: chain, hook or steel cable) u can use the reo bar like everyone else. done it several times, chain around the reo works a treat! 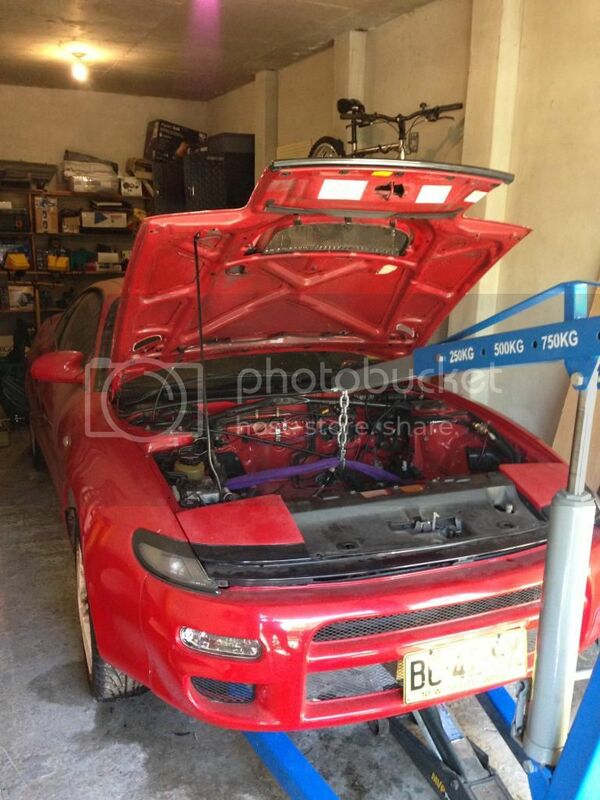 st185 widebody AKA "Phillip 2.0" - Under construction and will be worth the VERY long wait! GT-Four Group A Rallye, Carlos Sainz Edition # 21 out of 150. Gen 4 ST215 engine conversion, FMIC, Hatech Elite 1500, Forged CP pistons, ST205 rear calipers, front ST205 yet to install. ^^TRD-021 That was exactly what I was looking for where did you mount your sling? so where did you get said harness/chain? Yeah I'm here there and everywhere but mainly FG, or cranny areas (but varies a bit) so chain and shackes from bunnings etc any idea on loads / anything else I need to grab? A dollie for the engine, I got some planks to put the stands on so I can have some more height clearance.